From both UVA and UVB rays! Let’s Face It! comes in 4oz jars and is priced at $16.50. Let’s Face It! 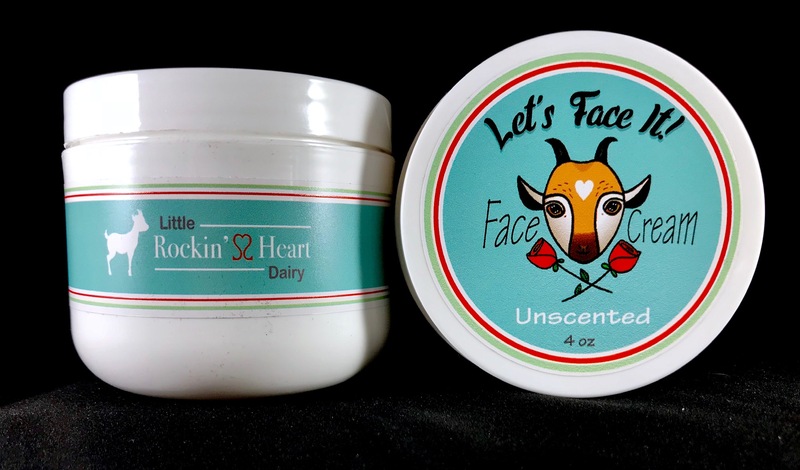 Face Cream comes in two varieties: Unscented and Rose. Knowing that many people do not want strong fragrances on their faces, our Rose Face Cream is made with Rose Otto Bulgaria essential oil. Lightly fragranced and made with one hundred different varieties of roses, the Rose Let’s Face It! is a distinct favorite to those who try it. 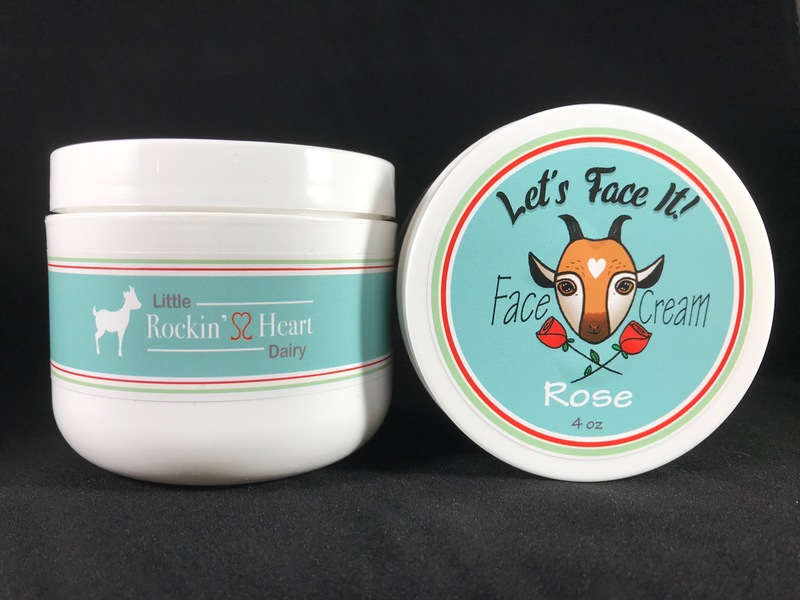 Our super luxurious, moisturizing, and soothing face cream ‘LET’S FACE IT!’ is based on our already rich Goat’s Milk lotion, but with some really exceptionally wonderful added ingredients. It contains both Calendula extract and Red Raspberry Seed Oil. Both of these costly and super soothing ingredients are approved by the EU (where the standards are the most strict) as safe even for use on infants. Both of these oils are extraordinary in their moisturizing benefits. Red Raspberry Seed Oil is high amounts of alpha and gamma tocopherols, (natural Vit E), Vitamin C, Vitamin A, and up to 83% omega-3 and omega-6 fatty acids. It has more pronounced anti-inflammatory properties than Avocado, grapeseed, hazelnut and wheat germ oils and thus many people report that because of this it is the most effective oil to use to sooth skin suffering from eczema, psoriasis and other skin conditions. Due to a high level of Vitamin A it can also be beneficial on oily skin types. Along with the natural sunscreen already found in goat’s milk and Shea butter, Red Raspberry Seed Oil is considered to have extremely effective sunscreen properties as it shields the skin from both UV-A and UV-B rays. Calendula Extract is long noted for it’s extremely soothing, anti-inflammatory properties and how soothing it is to delicate and fragile skin types, including babies! Our ‘LET’S FACE IT!’ face cream is a wonderful way to moisturize, nourish, and protect your skin. It is rich, but never greasy and is the perfect base for makeup as it is absorbs into your skin and smooths it to allow a lovely application of make up or foundations. Your skin will love it and it will show! ‘LET’S FACE IT!’ is perfect for day and night use. Click the ‘shop’ tab above to purchase our Face Cream! Natural Vitamin E is a powerful antioxidant and is the only thing proven to both prevent and reverse DNA damage caused by the sun. It can absorb ultraviolet (UV) light and so it plays an important role in photo protection preventing UV- induced free radical damage to skin. It has a natural sun screen! Nothing keeps your skin looking young and healthy like protecting it from the sun and now you can do it without using chemical sun screens! Smaller protein and fat molecules that absorb easier. Gentle and safe for the whole body. 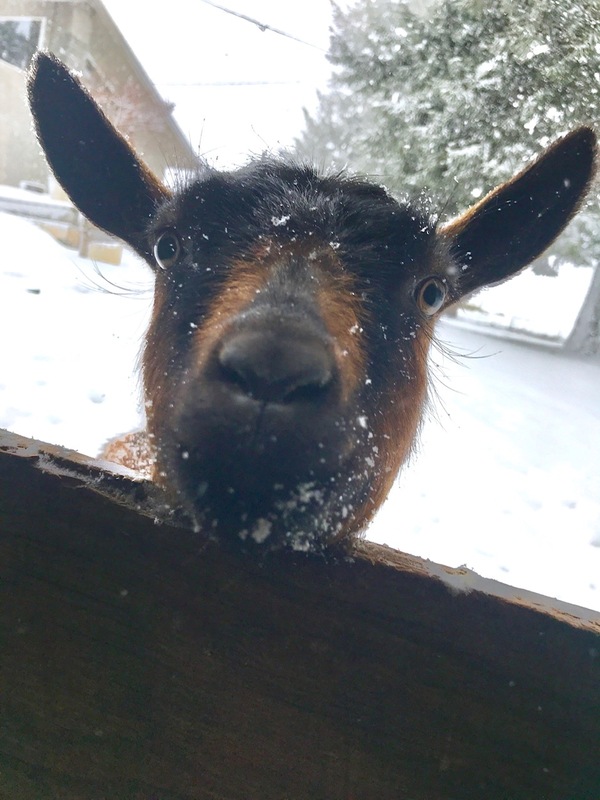 Loaded with vitamins and minerals: A, B6, C, D, and E.
Goat's Milk contains natural Alpha Hydroxy that minimizes the effects of aging by exfoliating the skin and helping it heal. 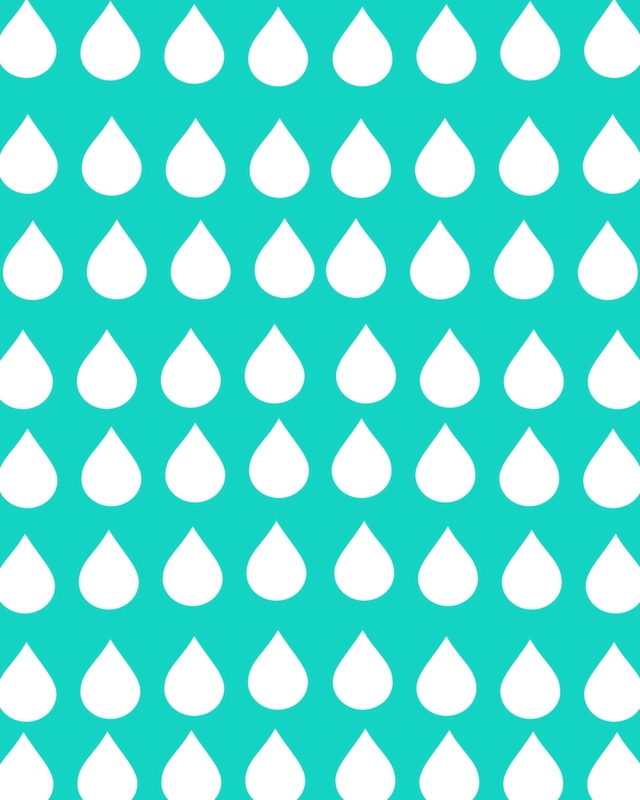 Adds elasticity, helping retain skin moisture. Naturally reduces bacteria and swelling due to acne. Contains probiotics, which are living microorganisms that help protect the skin from ultraviolet light. Many people report that it is helpful in treatment of skin issues caused by psoriasis, eczema, and rosacea. 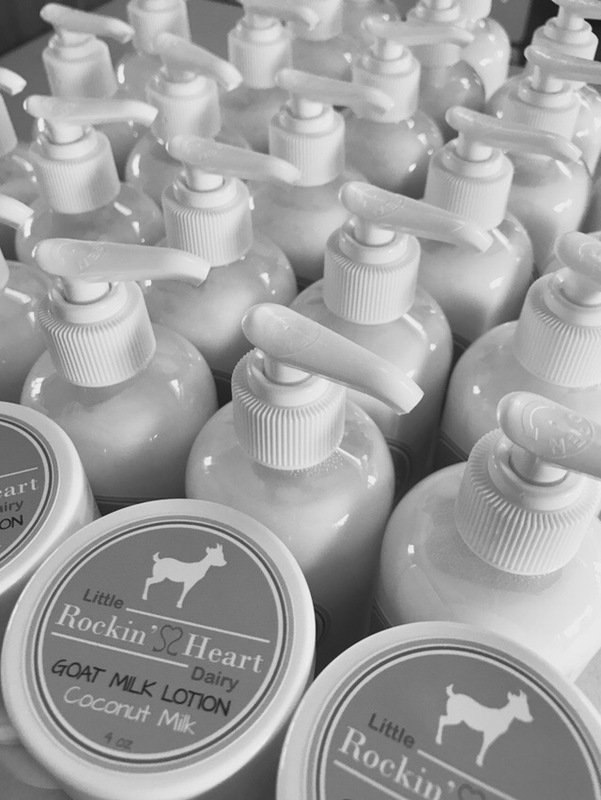 AND, Goat's milk lotion has a pH level similar to human skin; thus benefits the skin by protecting it from daily bacteria and chemical invasions.